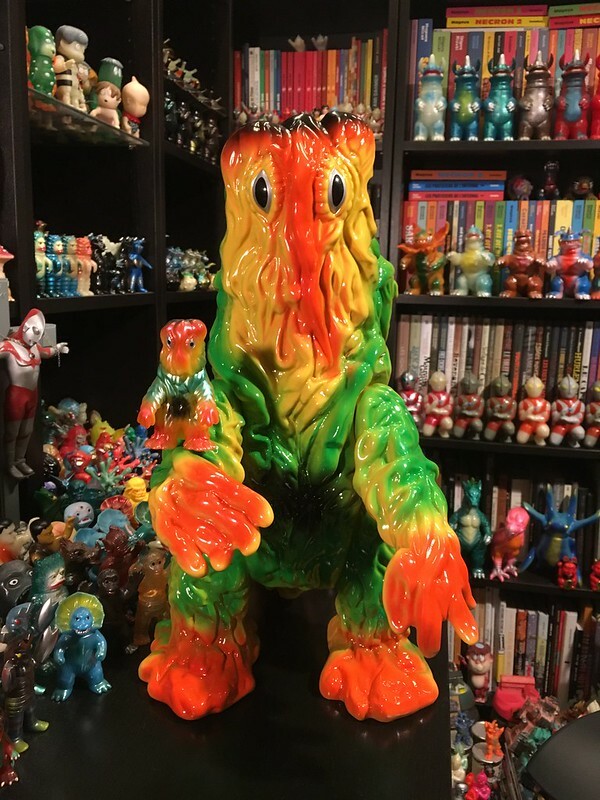 This towering hunk of sofubi weighs 4.6lb/2kg! I am shocked at the size and heft of the DX. Also, I'm thrilled that the first release was made incorrectly at the factory with a "vintage" yellow vinyl. It looks like a perfect match with the OG Bullmark family. Show the love for M1-GO indeed... this is just unbelievable! sensensempompom, Gojigirl, DoctorMafune and 11 others like this. 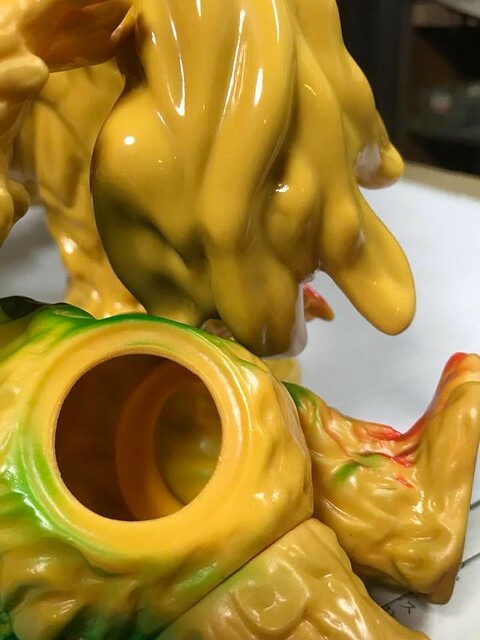 @deafmetal : I was not aware that there was a problem at the factory with the color but I know there was later another release with a bright yellow, can you say more? Gojigirl, rattanicus, itsa_mia and 3 others like this. 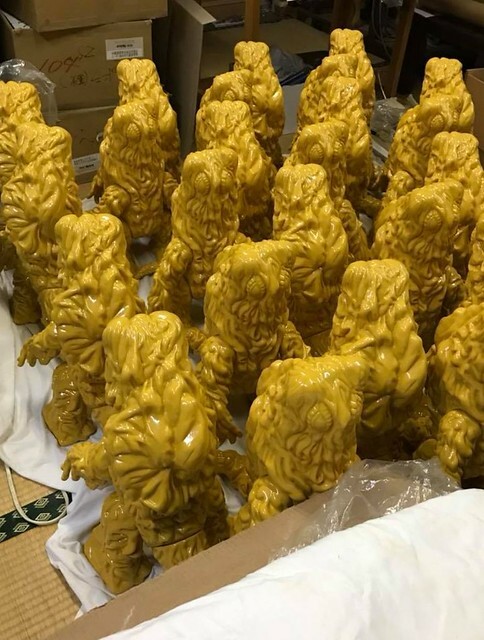 February 18 We planned advance sales at the Wonder Festival, planned production with the factory, handed out the yellow molded Hedora Standard which was released at that time as a color sample. 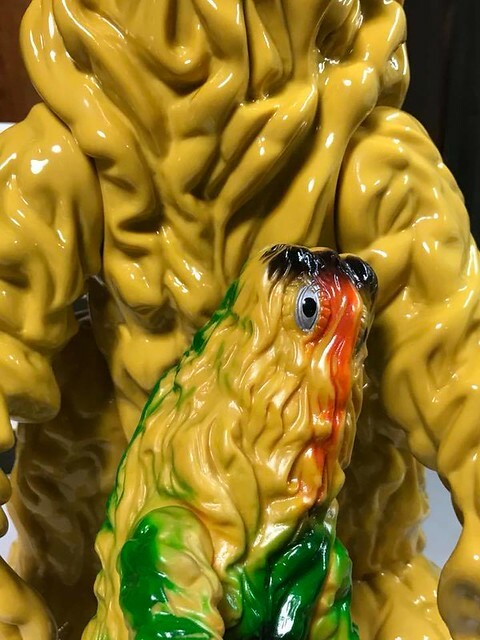 Finally the product came out, but there was a slight error in the sense of color between the factory side and the M1 side against the color of "molded color" yellow, and the yellow color at that time as a little bit I have become a color-ridden vintage color. Late, the molding color of this time is only one festival. The number will be 60 bodies of venue sale, 30 bodies shipped for delivery at the venue will be accepted later. We are currently reviewing the yellow molded color we are thinking, it will be a little brighter yellow. I will make a mail order so I think that I can announce you soon. I would be pleased if you understand the above circumstances. Note : The yellow molded color of the one-festival limited sale and the yellow molded color of the regular version currently informed at DM are slightly different. @deafmetal Thanks for the info man, curious to see the difference between the 2 yellow. Gojigirl, Alebrije, Russblue11 and 1 other person like this. The above photo was posted by Yuji on his FB page first before sofvi.tokyo. 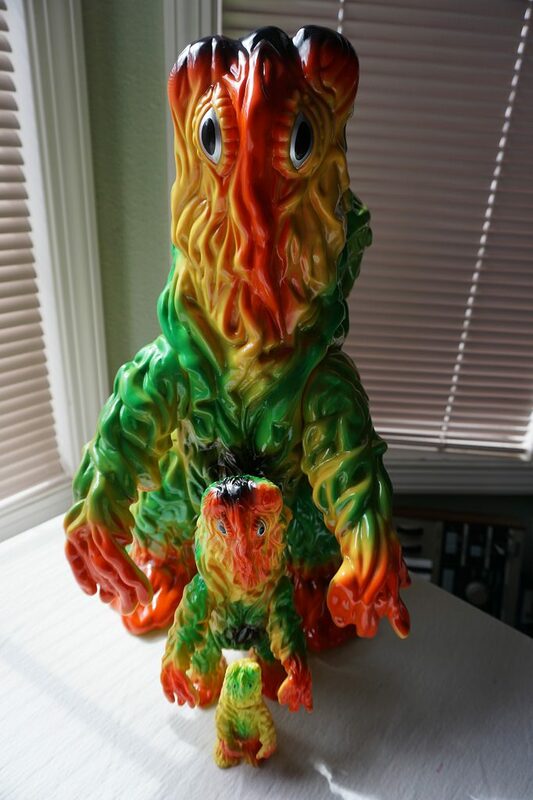 Other photos posted by Yuji of the WF color vinyl to match the original Bullmark Hedorah. sensensempompom, Gojigirl, Vombie and 5 others like this. 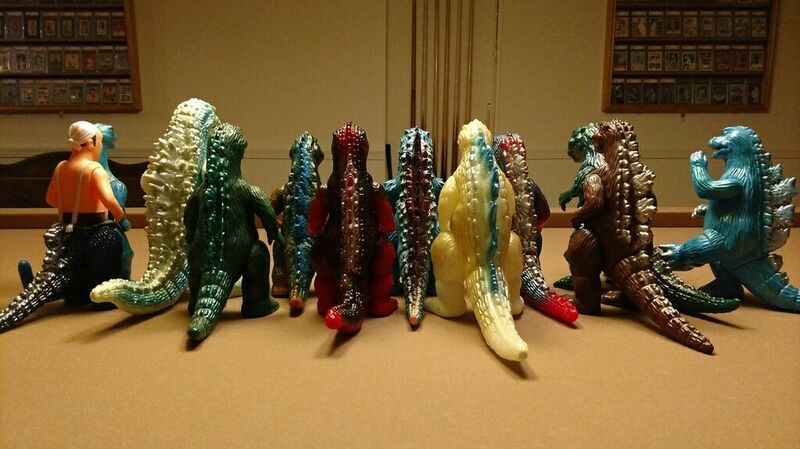 Do you know if Yuji hand-painted all of these? Gojigirl and Alebrije like this. 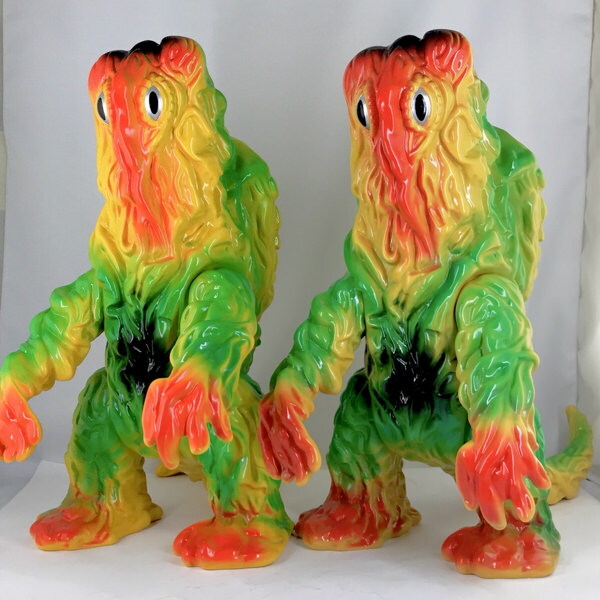 @deafmetal @chimply.kaiju Thanks for the pictures and the making-of history guys, the difference is very subtle but I prefer my retro yellow mustard version. Yuji did paint them all. Sorry, I try posting the video from FB. But it's private unless you are a FB friend with Yuji. 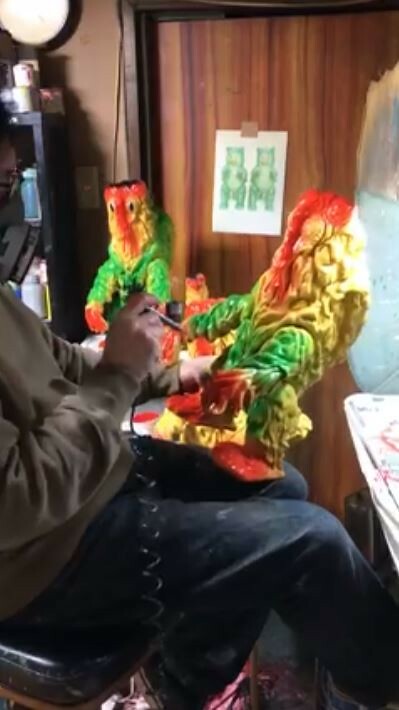 Here is a screen shot from the video of Yuji painting the WF versions. sensensempompom, Gojigirl, ultrakaiju and 3 others like this. As was I. I came across a couple new reproductions, as well as a couple of the oroginal(?) releases while in Tokyo. They’re insanely big, but just as cool to boot. Great size for hugging. I might display M1 header cards inside of it and hang it on the wall. 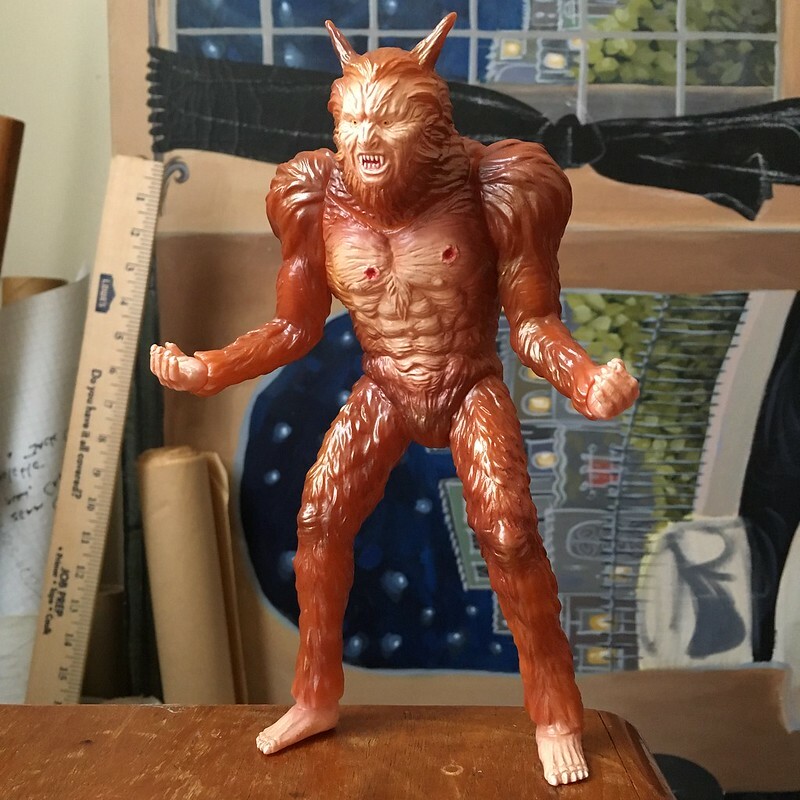 Michael Beverage, phantomfauna, chimply.kaiju and 3 others like this. Oh I wish I could've grabbed one of these. Love that yellow vinyl too. Thumbs up to those who were able to score one. 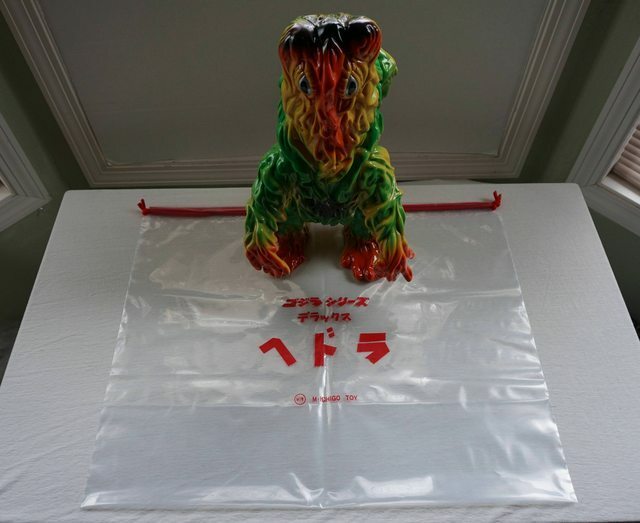 Anybody have a Giant Hedo and a Pretty Goji? Kissing pix, please! I've got to get one of these! sensensempompom, wingnut0, Michael Beverage and 4 others like this. ^ Wow! I gave up looking for that beastie years ago. Nice find. Thanks D, I was excited to see it come up! 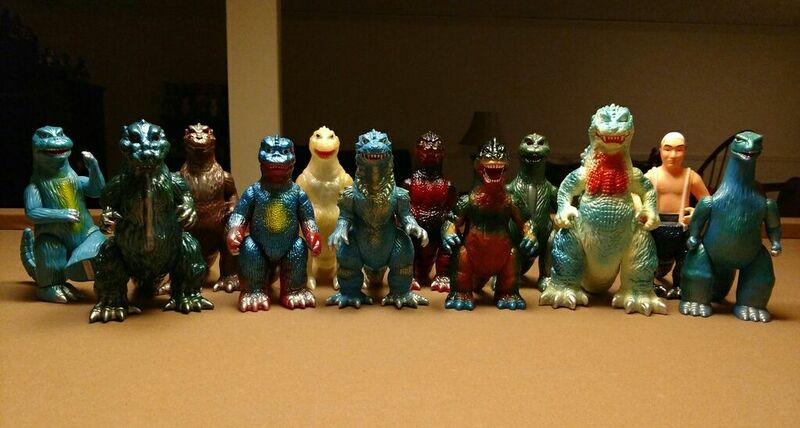 I finally found the Maquette so now (I think) I have one of every M1GO Godzilla sculpt. Gojigirl, rattanicus, Herr Graves and 15 others like this. such a cool picture !! @Shankweather - Great collection! 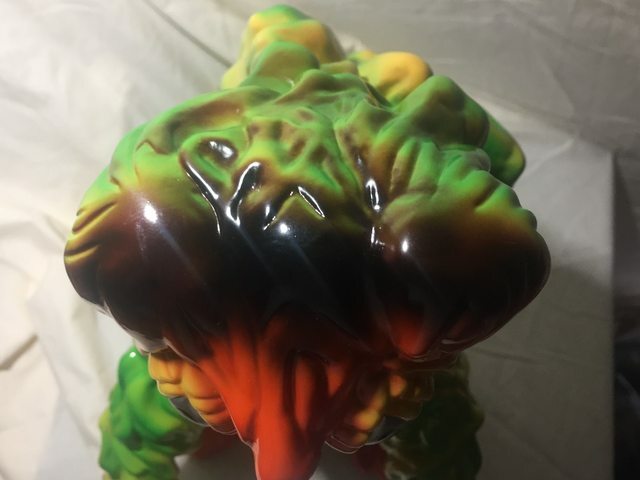 Your photo also really shows just how much of a beast the GMK sculpt is compared to the other gojis. The maquette was my final find, too - such a good day that was! Congrats, sir. Now you just have to chase all the littles! "Chasing the littles" sounds pretty illegal! But no, I'm not interested in M1 minis. 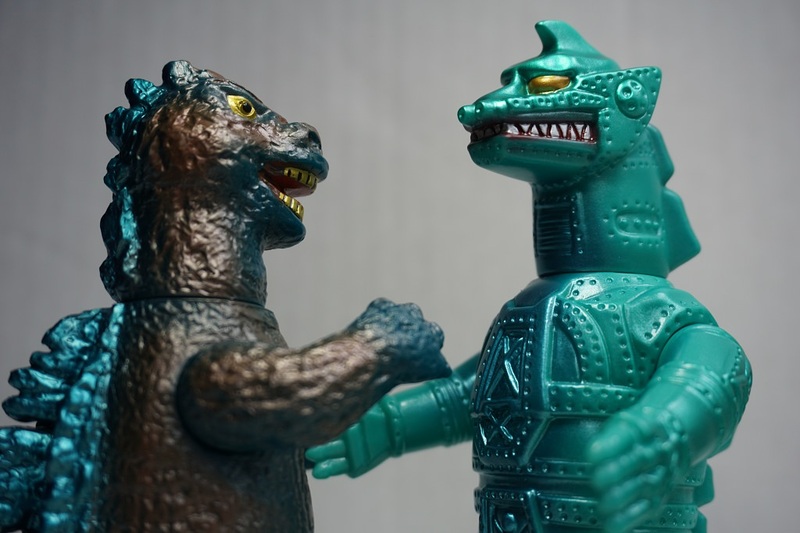 Really want to nab one of the GMK GID figures. Such a great sculpt! rattanicus, deafmetal and Alebrije like this. Michael Beverage, Gojigirl, rattanicus and 4 others like this.